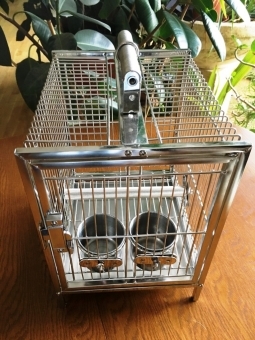 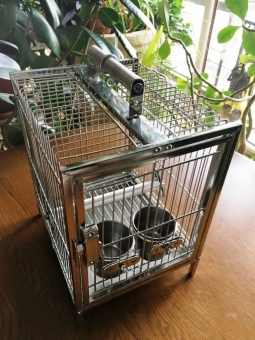 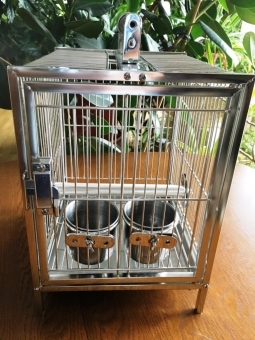 Travel cage completely made of stainless steel, with mesh base, drawer and feeding cups as well as perch. 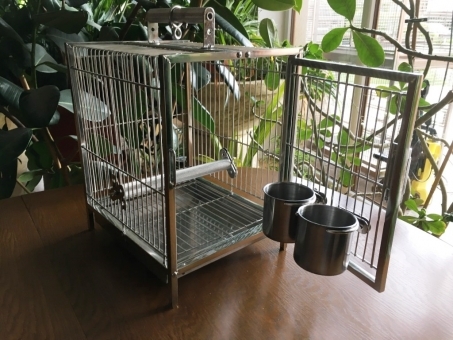 Delivery time will take one week after ordering. 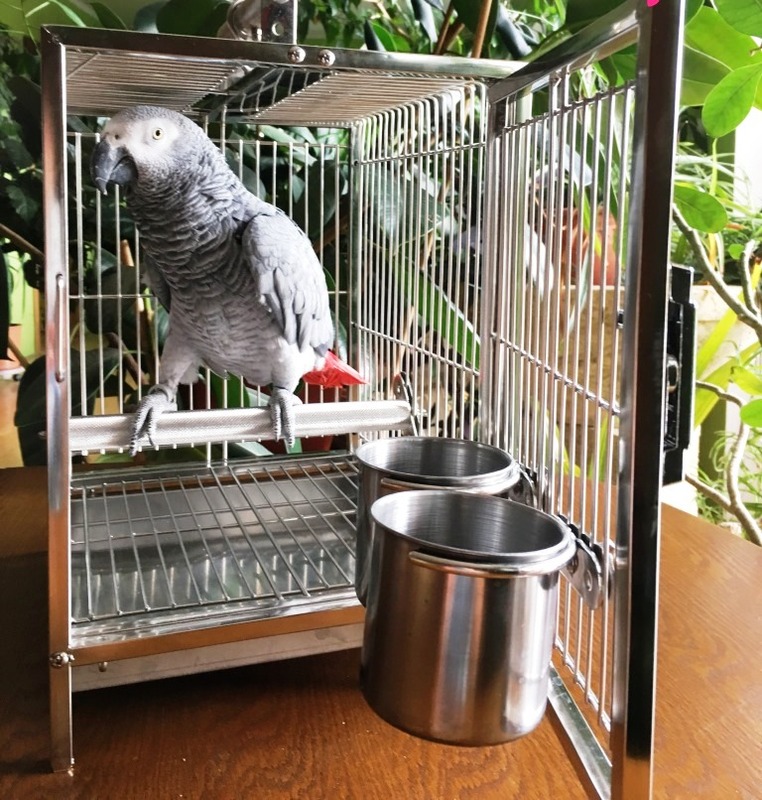 Delivery will be sent in 1 package for easy self-assembly. 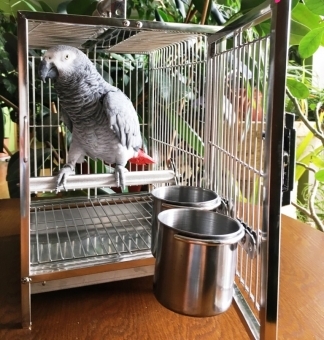 We recommend replacing the stainless steel perches delivered ex woods by natural branches with different diameters.